Please join us for visiting scholar Dr. Matthew Liesch at 4:00 pm on Monday, June 25 in the East Reading Room of the Van Pelt and Opie Library on the Michigan Technological University campus for his travel grant talk, “Circling Lake Superior: Rephotography to Document Changing Landscapes of the Lake Superior Circle Tour.” This event is free of charge and open to the public. Refreshments will be served. In this presentation, Liesch will guide the audience on a photographic journey to explore changing landscapes from throughout the Copper Country and the Lake Superior Circle Tour. This presentation features historic landscape photography from the Michigan Technological University Archives and Copper Country Historical Collections, and supplements these with other scenes along the route. For comparative purposes, Liesch has rephotographed ordinary landscapes around Lake Superior during 2018. Observations are illuminated through archived policies, and plans, plus perspectives from geography and land use planning alike. Matthew Liesch, PhD, is an Associate Professor at Central Michigan University’s Department of Geography and Environmental Studies. His areas of research interest include cultural and historical geography, landscape studies, park and protected areas, and environmental policy. He has published and presented extensively on these topics and is active in the professional community. Liesch’s research visit and presentation are supported by a travel grant from the Friends of the Michigan Tech Library. Since 1988, the Michigan Technological University Archives Travel Grant program has helped scholars advance their research by supporting travel to the manuscript collections at the Michigan Tech Archives. For more information, feel free to call the Michigan Tech Archives at 906-487-2505, email at copper@mtu.edu, or visit on the web at http://www.lib.mtu.edu/mtuarchives/. You can also find us on Facebook, @mtuarchives on Twitter, and as michigantecharchives on Instagram. Underwater imaging at the Thunder Bay National Marine Sanctuary. Please join us for visiting scholar Philip Hartmeyer at 4:00 pm on Friday, December 1 in the East Reading Room of the Van Pelt and Opie Library on the Michigan Technological University campus. This event is free of charge and open to the public. Refreshments will be served. In this presentation, Hartmeyer will discuss the role, techniques, and applications of advanced digital documentation methods in surveying the shipwrecks within the Thunder Bay National Marine Sanctuary. 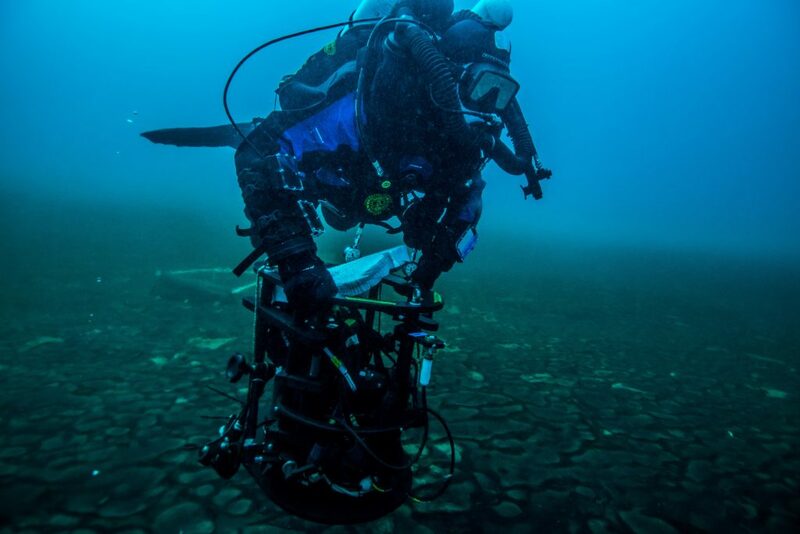 Learn about photogrammetry and panoramic imagery and their applications for research, education, and outreach as well as the stories of the submerged cultural resources that line the shores of Thunder Bay on Lake Huron. Hartmeyer has made several trips to the Michigan Tech Archives in order to help document the history of some of the submerged ships in the Thunder Bay region. Phil about to go to work. Philip Hartmeyer is a maritime archaeologist currently working at the Thunder Bay National Marine Sanctuary in Alpena, Michigan. 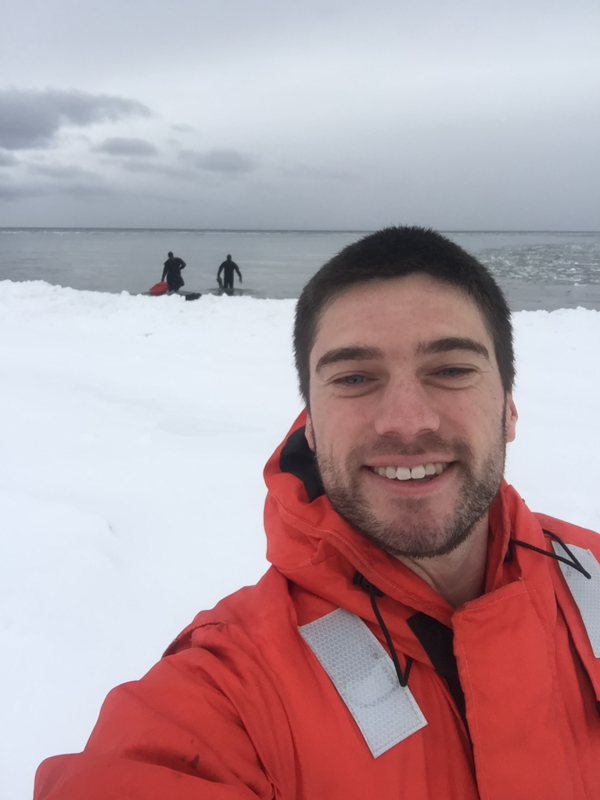 Originally from San Francisco, California, Hartmeyer’s passion for maritime heritage has taken him all over the world to conduct surveys and excavations of shipwrecks. He received his masters in maritime archaeology from East Carolina University, where he wrote his thesis on the passenger/package propeller Pewabic, a middle 19th-century vessel that was instrumental to the copper industry and the settlement of the Keweenaw Peninsula. He received his bachelors in archaeology from Saint Mary’s College of California, and is also a Registered Professional Archaeologist. Hartmeyer’s research visit and presentation are supported by a travel grant from the Friends of the Michigan Tech Library. Since 1988, the Michigan Technological University Archives Travel Grant program has helped scholars advance their research by supporting travel to the manuscript collections at the Archives. For more information, feel free to call the Michigan Tech Archives at (906) 487-2505, email copper@mtu.edu, or visit on the web at http://www.lib.mtu.edu/mtuarchives/. You can also find us on Facebook or @mtuarchives on Twitter. Please join us for a keynote presentation by guest scholar Krysta Ryzewski at 4:00 pm on Friday, September 22 in the East Reading Room of the Van Pelt and Opie Library on the Michigan Technological University campus. This event is part of A Celebration: 25 Years of Industrial Heritage and Archaeology, an anniversary of the founding of the Industrial Archaeology program, and is made possible through the Visiting Women and Minorities Lecture and Scholar Series at Michigan Tech. This event is free of charge and open to the public. Refreshments will be served. In this presentation, Ryzewski will discuss Ethnic Layers of Detroit (ELD) and Unearthing Detroit, two interdisciplinary heritage projects in metro Detroit. ELD is an urban-focused digital humanities project engaging faculty and student researchers in creating, documenting, and sharing multimedia narratives of Detroit’s ethnic histories. Unearthing Detroit is a project that involves both academic research and public archaeology in its focus on the urban historical archaeology collections housed in the Grosscup Museum of Anthropology at Wayne State University. The project’s research and outreach team is comprised of archaeology faculty and graduate students from Wayne State’s Department of Anthropology, as well as a number of volunteers from the local community. Ryzewski’s talk will address challenges, successes, and implications of the projects that will be of interest to a diverse audience. 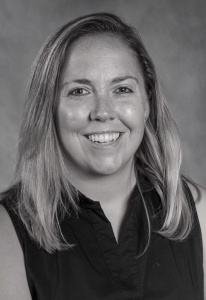 Krysta Ryzewski, Ph.D., is an Associate Professor of Anthropology at Wayne State University and is the Director of the Digging Detroit project, an investigation of industrial and post-industrial urban communities in the Motor City. She is a leading researcher in historical and contemporary archaeology and the digital humanities. Ryzewski’s research visit and presentation are supported by a travel grant from the Institutional Equity and Inclusion office’s Visiting Women and Minority Series. Additional arrangements and refreshments are made possible by the Social Sciences Department and the Michigan Technological University Archives and Copper Country Historical Collections. 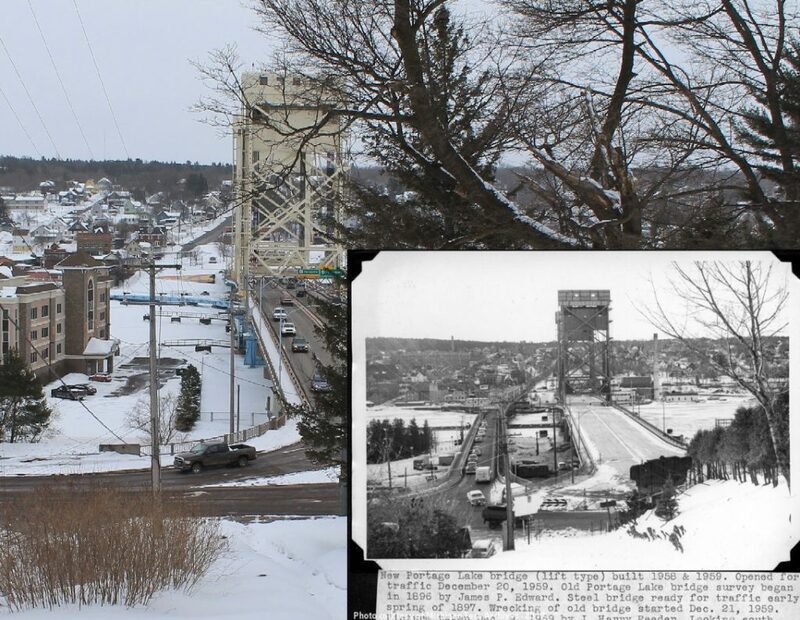 For more information about this program or the Industrial Archaeology program’s 25th anniversary, feel free to call the Michigan Tech Archives at 906-487-2505, email at copper@mtu.edu, or call the Social Sciences department at 906-487-2113. Please join us for a presentation by travel grant recipient Gabe Logan at 4:00 pm on Tuesday, November 15 in the East Reading Room of the Van Pelt and Opie Library on the Michigan Technological University campus. This event is free of charge and open to the public. Refreshments will be served. In this presentation, Logan will discuss the Labor Sport Union and its influence in the iron ranges of Michigan, Wisconsin and Minnesota. From 1928 through 1935 the United States Communist Party developed the Labor Sport Union. 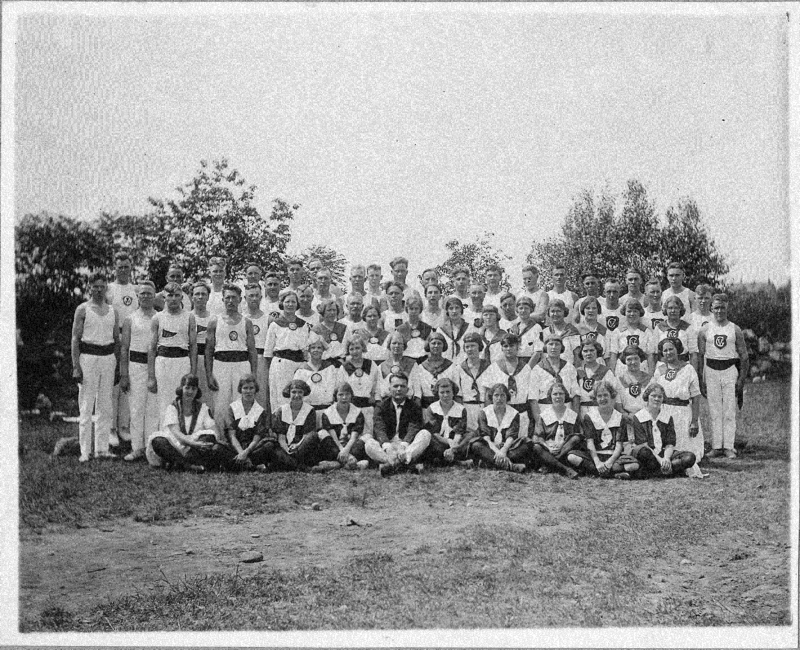 This athletic organization united left wing politics and athletics in an alternative vision of sport and society. The LSU drew much of its membership from the urban cities whose immigrant populations sought recreation beyond the schools and company teams. However, the LSU also found an appreciative audience in the rural iron ore region of Lake Superior. This presentation explains the significance of the LSU in the region and how its members embraced the “red sports” ideology. Gabe Logan, Ph.D., is an Associate Professor of History and the Director for the Center of Upper Peninsula Studies at Northern Michigan University. Logan’s research visit and presentation are supported by a travel grant from the Friends of the Michigan Tech Library. Since 1988, the Michigan Tech Archives has partnered with the FMTL to help scholars advance their research by supporting travel to the manuscript collections at the archives. For more information, feel free to call the Michigan Tech Archives at (906) 487-2505, email at copper@mtu.edu, or visit on the web at http://www.lib.mtu.edu/mtuarchives/. Dr. Michelle S. Johnson, a Community Historian with the Michigan Historical Center, will be presenting a talk on African American history in Michigan on Wednesday, March 2 at 4:00 p.m. at the Van Pelt and Opie Library. This photograph is courtesy of Kzoo Uncaged. See their website for a great interview with Dr. Johnson. As part of the “Black Voices in the Copper Country” project, the Michigan Technological University Archives and Copper Country Historical Collections will be hosting a talk by Dr. Michelle S. Johnson, a Community Historian with the Michigan Historical Center in Lansing. The talk will be held at 4pm on Wednesday, March 2 in the Van Pelt and Opie Library’s East Reading Room. The presentation, “Exhibits for a New Century: Researching the African American Experience in Michigan from the Copper Country to the Capital,” will explore the historical center’s Exhibits for a New Century project, which is an interpretive exhibit documenting the African American experience across the state. Johnson will also discuss the methods and meaning behind the exhibit as well as a statewide research initiative to uncover and share African American narratives in Michigan history, such as the grant-funded project taking place at the Michigan Tech Archives. This event is free and open to the public. Refreshments will be served. Johnson has executed extensive work on securing and promoting spaces where socially marginalized people express their autonomous and authentic selves. 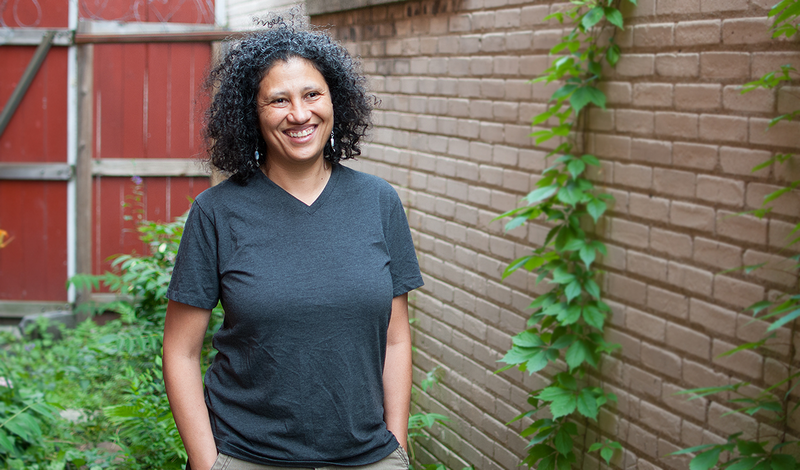 As co-founder and executive director of Fire Historical and Cultural Arts Collaborative, she collected and oversaw the collection of numerous oral histories around issues of place, community, race, ethnicity, class, gender, sexuality and history. Johnson served as the Freedom Trail coordinator for the State of Michigan from 2000-2008 and consults on 19th century history projects in the state and the mid-west region, especially the Underground Railroad. She researches, writes and lectures for academic and public settings on aspects of African American culture in Michigan. Her scholarship includes a community project in Loughman, Florida researching, interpreting and performing the work of Zora Neale Hurston. Named WIDR’s “most beloved DJ,” Johnson has appeared as a weekly host for Slip Back Soul for 9 years as DJ Disobedience. This talk is made possible in part by a grant from the Michigan Humanities Council, an affiliate of the National Endowment for the Humanities. Dr. Michelle S. Johnson, a Community Historian with the Michigan Historical Center, will be presenting a talk on African American history in Michigan on Tuesday, October 27 at 4:00 p.m. at the Van Pelt and Opie Library. This photograph is courtesy of Kzoo Uncaged. See their website for a great interview with Dr. Johnson. The talk that was to take place on Tuesday, October 27 at 4 pm has been postponed. We are trying to reschedule the talk for later this semester. Please check back or call the Michigan Tech Archives at (906) 487-2505 for more information. As part of the “Black Voices in the Copper Country” project, the Michigan Technological University Archives and Copper Country Historical Collections will be hosting a talk by Dr. Michelle S. Johnson, a Community Historian with the Michigan Historical Center in Lansing. The talk, “Exhibits for New Century: Researching the African American Experience in Michigan from the Copper Country to the Capital,” will explore the historical center’s Exhibits for a New Century project, which is an interpretive exhibit documenting the African American experience across the state. Johnson will also discuss the methods and meaning behind the exhibit as well as a statewide research initiative to uncover and share African American narratives in Michigan history, such as the grant-funded project taking place at the Michigan Tech Archives. This event is free and open to the public. Refreshments will be served. The Michigan Tech Archives invites students, faculty and staff to join us for a Lunch and Learn on March 22, from noon to 1 p.m. at the Memorial Union Ballroom B-3. Visiting scholar and Archives Travel Grant recipient Ibram H. Rogers will give a talk on “The Black Campus Movement and the Racial Reformation of Higher Education.” Cookies and beverages will be provided. Attendees are invited to bring their lunch. The Black Campus Movement began about 1965 and ended by 1973. During that time, black college students, sometimes aided by white and Latino students, protested for a relevant learning experience. At traditionally white and historically black colleges and universities, black campus activists formed the nation’s first progressive black student unions and gained control of some student government associations. They utilized these pressure groups to advocate for a range of campus reforms, including an end to campus paternalism and racism, the addition of more black students and faculty, and Black Studies courses and programs. Their ultimate aim was to diversify and thus transform higher education. This presentation will provide an overview of the movement, which challenged the racial confines of upwards of 1,000 colleges and universities in 48 states, including Michigan Tech. Ibram H. Rogers is a post-doctoral fellow at the Rutgers Center for Historical Analysis in New Brunswick, New Jersey. He is on leave as an assistant professor of African American history at SUNY College at Oneonta. He earned his doctorate in African American Studies from Temple University. Rogers has published seven journal articles on the black campus movement and black power. He is currently working on his first book, tentatively titled, The Black Campus Movement: A Historical Analysis of the Struggle to Diversity Higher Education, 1965-1972, which will be published by Palgrave MacMillan. Rogers’ talk is sponsored by the Michigan Tech Archives and the Friends of the Van Pelt Library. Since 1998, the Michigan Tech Archives Travel Grant has helped scholars advance their research by supporting travel to the manuscript collections at the Archives. The program is intended to encourage research using the Archives’ lesser known collections or promote new methodological approaches to well-known collections. From this year’s competitive field of applicants, the grant committee selected three scholars whose research typifies the spirit of the grant program. They join the ranks of twenty-six past recipients in this most recent round of awards. 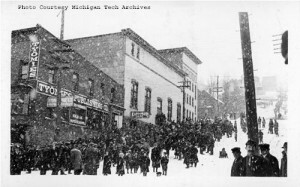 For information about the March 22nd Lunch and Learn, the Michigan Tech Archives, or its collections, email us at copper@mtu.edu, call us at 906-487-2505, or visit us on the web at http://www.lib.mtu.edu/mtuarchives/. The Michigan Tech Archives hosts local author Gary Kaunonen for a presentation and book signing in the JR Van Pelt & Opie Library’s East Reading Room on Tuesday, August 17 at 4 p.m. In his latest book, Challenge Accepted: a Finnish immigrant response to industrial America in Michigan’s Copper Country, published by Michigan State University Press, Kaunonen tells the story of the Finnish immigrant challenge to the historic social order. He explores their clash with Copper Country industrialists by examining the written record and material culture of the Finnish immigrant working class through analysis of buildings, cultural institutions, and publication of print media. Challenge Accepted takes an in-depth look at the way a portion of the Finnish immigrant working class gambled the success of early organizational efforts by participating in the bitter and bloody 1913-14 copper miners’ strike. This nine-month struggle between organized labor and the mining companies culminated in the tragic events at Italian Hall. Kaunonen examines the events of the 1913-14 Strike and Italian Hall using often-overlooked proletarian Finnish immigrant sources. Based in Hancock, the Tyomies Publishing Company rallied strikers and their families during the 1913-14 copper miners’ strike. Author Gary Kaunonen’s new book explores the politics and culture of the working class Finnish immigrants who made a stand against the mining companies. This image from the Keweenaw Digital Archives (#400-12-13-1988-01-08-04) was taken in February 1914 near the end of the Copper Country’s most violent labor strike. Kaunonen suggests that the most noteworthy accomplishment of these Finnish immigrants in the Copper Country was that as a largely unskilled group of immigrant laborers, newspaper employees, and radical “hoboes,” they had a very considerable impact on the history of a place dominated by powerful mining companies and the men who ran those companies. This was truly remarkable, a challenge accepted by a proactive segment of the Finnish immigrant working class to have a say in their own working conditions. Embedded in this study of ethnic political-labor history is also a story of division and decline that ultimately fractured a working class movement dedicated to solidarity. This demise is significant when recounting the capabilities and vulnerabilities of the American labor movement in the early twentieth century. Gary Kaunonen is a social and labor historian currently working on a PhD at Michigan Tech. He received a Master’s in Industrial History and Archaeology from Michigan Tech in 2007, and for a while worked as an archivist at the Finnish American Historical Archive at Finlandia. Kaunonen studies the history of the UP’s Finnish immigrant population, and the interaction between Finns and American industry. Both of his grandfathers worked in the iron mines of Minnesota’s Mesabi Iron Range, and Kaunonen himself charged blast furnaces and operated a bull-ladle before turning to academics. His first book, also published by Michigan State University Press, is called The Finns in Michigan. Limited copies of Kaunonen’s latest book, Challenge Accepted, will be available to purchase at the August 17 event at the JR Van Pelt & Opie Library at Michigan Tech. For more information, call the Archives at 487-2505.